The following recall notices are from the National Highway Traffic Safety Administration (NHTSA). To search for recalls, investigations, and complaints by vehicle year, make, model, and VIN, visit www-odi.nhtsa.dot.gov/owners/SearchSafetyIssues. NHTSA’s Vehicle Safety Hotline is (888) 327-4236. Recall 18V-339: Certain 2016-2017 Somerset Chesapeake and Somerset Newport folding camping trailers manufactured from February 25, 2016, to June 21, 2016. A weld on the front A-frame bars may fail, possibly allowing the front of the trailer to drop while being towed. Recall start: June 18, 2018. Columbia Northwest, (724) 237-5227. Recall 18T-006: Certain Conti Hybrid HS3 tires, size 11R22.5 Load Range G, with tire identification numbers A33TKWUX and DOT date codes of 0918 through 1118. Cords may be visible through the inner liner; such tires may experience a sudden loss of air. Recall start: June 2018. Continental, (800) 726-7113. Recall 18T-008: Certain Conti Coach HA3 tires, size 315/80R22.5 157/154L with tire identification numbers A372KWUU and DOT date codes of 3517 through 1618. Cords may be visible through the inner liner; such tires may experience a sudden loss of air. Recall start: July 2018. Continental, (800) 726-7113. Recall 18V-353: Certain 2017-2019 Freightliner M2 Business Class, XBR, XCL, XCM, XCP, XCR, and XCS chassis equipped with air disc brakes and manufactured from January 3, 2017, to October 31, 2017. The brake caliper mounting bolts may be insufficiently tightened, allowing bolts to loosen and reducing braking performance. Recall start: July 27, 2018. Recall number: FL-772. Daimler Trucks, (800) 547-0712. Recall 18V-288: Certain 2017 Mercedes-Benz and Freightliner Sprinter 2500 and 3500 vehicles manufactured from September 11, 2017, to October 11, 2017. The vehicles may be missing spot welds on the front sidewall, connecting the door portal to the hinge reinforcements in the A-pillar area, possibly affecting vehicle strength in a crash. Expected recall start: June 29, 2018. Freightliner Sprinter, (877) 762-8267; Mercedes-Benz Sprinter, (800) 367-6372. Recall 18V-298: Certain 2019 Vision and Emblem motorhomes manufactured from October 25, 2017, to March 27, 2018. The windshield wiper motor may fail when being operated in heavy snow or ice situations. Expected recall start: July 3, 2018. Entegra recall number: 9903378. Entegra, (800) 517-9137. Recall 18V-296: Certain 2018 Surveyor travel trailers, model SVT241RBLE, manufactured from January 24, 2018, to February 6, 2018. The refrigerator in the slide room may not have an air-cycling fan to cool the refrigerator parts, which can cause the unit to overheat. Recall start: May 9, 2018. Forest River recall number: 37-0719. Forest River, (574) 642-3119. Recall 18V-333: Certain 2017-2019 Vengeance Rogue travel trailers, models VGT25V-73 and VGT25V-73-W manufactured from February 17, 2017, to April 30, 2018. Side marker lights may be missing. 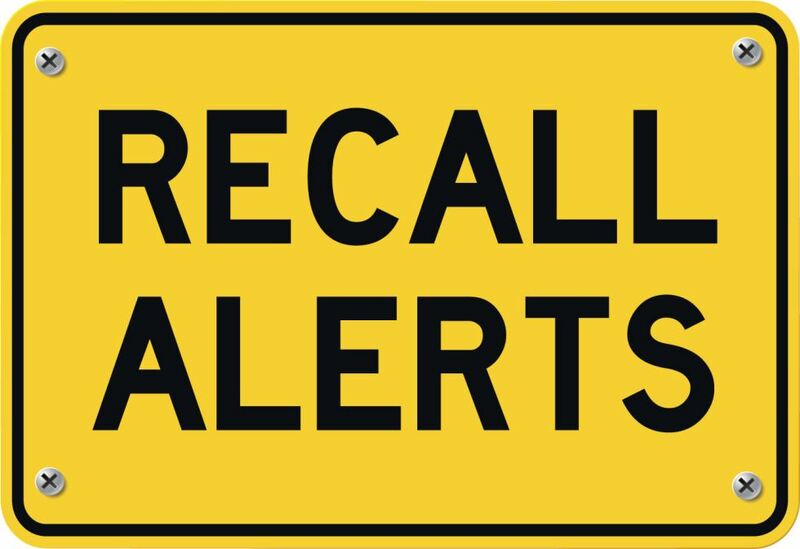 Recall start: June 7, 2018. Forest River recall number: 73-0727. Forest River, (260) 499-2100. Recall 18V-334: Certain 2019 Coachmen Viking travel trailers, models T17BHS and T17FQS, manufactured from April 24, 2018, to May 15, 2018. The federal placard states tire inflation pressure as 65 psi; the tires require 75 psi. Recall start: May 31, 2018. Forest River recall number: 121-0734. Forest River, (269) 467-8281. Recall 18V-349: Certain 2017-2018 ih-45 and Realm motorhomes manufactured from November 30, 2016, to September 4, 2017. The passenger seat base assembly may not be adequately secured. Recall start: June 15, 2018. Foretravel, (800) 955-6226. Recall 18V-286: Certain 2018 Eagle HT fifth-wheels manufactured from January 1, 2018, to April 27, 2018, and equipped with certain 16K rotational rubber pin boxes. The spindle placement in the pin box may be incorrect, causing the bearing to be loose and increasing the risk of a crash. Expected recall start: July 3, 2018. Jayco recall number: 9901377. Jayco, (800) 517-9137. Recall 18V-292: Certain 2011 and 2013 Jay Series BB, BC, and BD travel trailers manufactured from March 25, 2010, to March 18, 2013, and equipped with a Lippert Components power roof-lift mechanism. The power lift’s manual override feature may be misused, potentially resulting in torque from the drive motor damaging the lift mechanism and possibly causing a roof collapse. Jayco will provide owners with a warning label instructing them on proper use of the manual override feature. Expected recall start: July 3, 2018. Jayce recall number: 9901379. Jayco, (800) 517-9137. Recall 18V-297: Certain 2018 Alante and 2018-2019 Precept motorhomes manufactured from June 1, 2017, to March 27, 2018. The windshield wiper motor may fail when being operated in heavy snow or ice situations. Expected recall start: July 3, 2018. Jayco recall number: 9903378. Jayco, (800) 517-9137. Recall 18V-303: Certain 2016-2017 Crossroads Redwood travel trailers manufactured from February 5, 2015, to September 9, 2016. The ladder on the back of the vehicle may be blocking the secondary emergency exit window. The remedy is to remove the emergency exit sticker if the ladder blocks the emergency egress window; all vehicles have at least one marked alternate exit window not blocked by the ladder. Recall start: May 23, 2018. Keystone recall number: 18-319. Keystone, (866) 425-4369. Recall 18V-313: Certain 2018 Montana fifth-wheels manufactured from January 31, 2018, to February 26, 2018. The switch for the slideout may not have circuit protection. Expected recall start: July 8, 2018. Keystone recall number: 18-320. Keystone, (866) 425-4369. Recall 18V-320: Certain 2019 Cougar fifth-wheels, models 28SGS and 27RLS, manufactured from April 3, 2018, to April 17, 2018. The propane compartment may not have been sealed properly; if a propane leak occurs, propane gas could seep into the living quarters. Expected recall start: July 9, 2018. Keystone recall number: 18-321. Keystone, (866) 425-4369. Recall 18V-245: Certain 2016-2017 Ventana, 2015-2016 London Aire, and 2013-2017 Dutch Star motorhomes built on Freightliner chassis. When switching headlights from low beam to high beam, the low-beam headlights go out instead of both beams being illuminated. Newmar, (800) 731-8300. Recall 18V-307: Certain 2016-2018 Mountain Aire motorhomes manufactured from March 17, 2015, to May 18, 2018. The diesel exhaust fluid (DEF) tank bracket installed by Spartan Motors may contact the tag axle tire, possibly damaging the tire. Expected recall start: July 10, 2018. Newmar, (800) 731-8300. Recall 18V-294: Certain 2011 Starcraft BC and BD and 2013 Comet BA, BB, and BC travel trailers manufactured from August 2, 2010, to August 9, 2012, and equipped with a Lippert Components power roof-lift mechanism. The power lift’s manual override feature may be misused, potentially resulting in torque from the drive motor damaging the lift mechanism and possibly causing a roof collapse. Starcraft will provide owners with a warning label instructing them on proper use of the manual override feature. Expected recall start date: July 3, 2018. Starcraft recall number: 9902379. Starcraft, (800) 945-4787. Recall 18V-285: Certain 2011-2017 Tuscany and Venetian motorhomes built on Freightliner chassis from January 21, 2010, to December 22, 2015. The power steering hose may be routed incorrectly, and as a result, the hose may rub against the power stud on the starter motor, possibly causing electrical arcing and a power steering fluid leak. Thor recall number: RC000153. Recall start: May 1, 2018. Thor, (877) 855-2867 or Freightliner, (800) 547-0712. Recall 18V-328: Certain 2013-2018 Allegro Open Road motorhomes built from January 1, 2013, to January 8, 2018. Insufficient frame rail strength may allow the tow hitch to detach from the motorhome. A notification schedule has not been set. Some vehicles already remedied as part of recall 17V-200 will need the additional repairs covered by this recall. Tiffin recall number: TIF-109. Tiffin, (256) 356-8661. Recall 18V-341: Certain 2018-2019 Allegro Red, Allegro Open Road, Allegro Breeze, Allegro Bus, Phaeton, and Zephyr motorhomes manufactured from January 2, 2018, to May 15, 2018. The entry door may have been improperly assembled, allowing the door to open while the vehicle is moving. A notification schedule has not been set. Tiffin recall number: TIF-110. Tiffin, (256) 356-8661. Recall 18V-274: Certain 2018 Travato motorhomes manufactured from March 23, 2018, to April 24, 2018; certain 2018-2019 Era motorhomes manufactured from August 9, 2017, to April 11, 2018; and certain 2018-2019 Revel motorhomes manufactured from August 29, 2017, to April 16, 2018. The roof rack may not have been installed with the correct fasteners, possibly resulting in the roof rack detaching while the vehicle is moving. A notification schedule has not been set. Winnebago recall number: 150. Winnebago, (800) 537-1885.